The ultimate heavy cargo off-road experience! 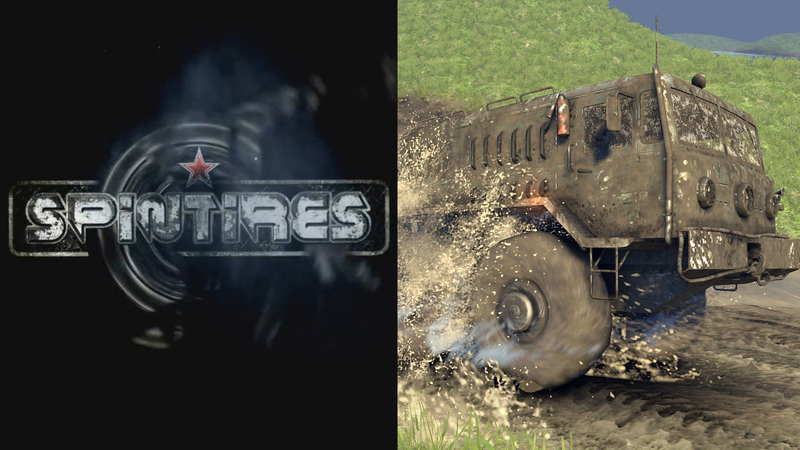 Fasten your seatbelt and become the driver of unique vehicles that have been based on Soviet off-road classics. SPINTIRES offers an open world where all enthusiasts of transport simulators and off-road driving will find something for themselves! Forests, mountains, rivers – excellent visuals powered by an original engine that offers phenomenal physics you won't find anywhere else. Experience very realistic mud, water and pebbles effects, as well as the performance of vehicles' suspension smoothly reacting to every terrain roughness! There are 18 Preset Configurations (see below) in order of severity and the weather at any given moment "scales" up and down this range in moves no greater than 3 configurations. This creates progressive weather that doesn't jump oddly between the extreme ends of the scale. Particle Effect scaling control system to prevent overloading and slowdown due to too many effects. Keep an ear out for updates on this coming soon feature! More Dynamic Mud and Temp's Tweak get a final update incorporating tonnes of new features! Come get your weekly shot of indie gaming goodness with Monday Night Indie, featuring talks with the developers, giveaways & more! THIS FILE IS OUT OF DATE, GOTO FILE SECTION FOR V2! Heavy´s Autumn-Mod for Spintires Type: Texture-mod How to install: Put the "TexturesCache.rar" into your spintires-directory. So, when are we going to see camera controls that are at least mediocre, along with steering wheel support? Well you can alter the camera in the trucks class file but it will disable multiplayer i believe. Steering wheel support i want but have yet to try remapping my steeringwheel to the games controls. Is there more to the game than just moving around in Soviet trucks and cars through untampered places in Siberia collecting wood around? Yes and no, its about exploring and doing the objectives, different truck choices results in a different play through experiences, but being a simulator it has its limits to entertainment. However with mods, you can never be bored. Yes there is. You can get stuck in the mud! tried out the techdemo and had a lot of fun for 20min. Never to be touched again but fun nonetheless. That is why multiplayer is so important in the game. So you finally made a moddb/indiedb page. Welcome! I created it to show the game some love and get more people modding it. I drove off a cliff.